The EU has supported an initiative by the International Energy Agency to limit the standby power consumption of a single piece of equipment to 1 W, a threshold which is expected to decrease to 0.5 W by 2013. These guidelines have been adopted by the International Electrotechnical Commission (IEC), which has recently released the second edition of its International Standard IEC 62301 (Household electrical appliance - Measurement of standby power). The European EN50564:2011 standard adopts a similar approach. These standards define the relevant test conditions for accurate measurement of standby power, and emphasise the fact that determination of the relevant low power levels requires accurate measurement - an area in which the Yokogawa range of power analysers is well established. A new power measurement software package for the Yokogawa range of precision power analysers provides a complete solution for the testing of standby power in accordance with the latest IEC62301 Ed.2.0 (international) and EN50564:2011 (European) standards. 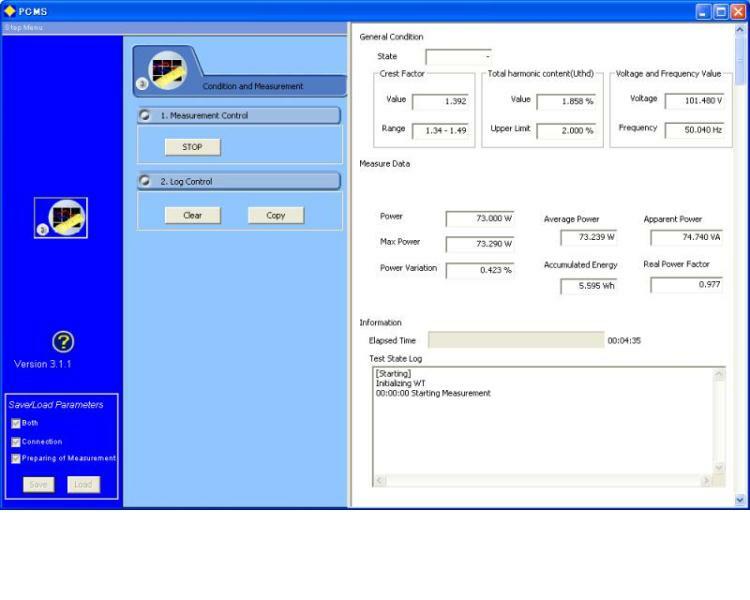 The software, designed for use with the Yokogawa WT310, WT210, WT500, WT1800 and WT3000 power analysers, is targeted at manufacturers of domestic electrical appliances and related equipment, who need accurate measurements to ensure that their products operate at optimum energy efficiency with minimum standby power consumption. Functions provided by the new Yokogawa standby power measurement software include communications between the host PC and the relevant Yokogawa instrument, measurement of power data as defined in the standards, report preparation and production, and saving to the appropriate storage medium. Electrical parameters measured include total harmonic distortion, crest factor, voltage, frequency, power variation and accumulated energy. In addition, although they are not required by the standard, apparent power and power factor are also measured as reference values. The software uses both the sampling method and the average reading method defined in the standard, and provides a measurement time check. An "auto" measurement mode checks data stability every ten seconds according to the algorithms defined in IEC62301 and can automatically end the test once stability and the test conditions have been met. A text entry function allows information other than the measured values to be entered for incorporation in a report. The report is generated as a PDF file and the measurements are also available in .CSV format.